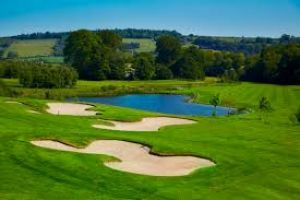 Bunclody golf club is a new Jeff Howes designed 18 hole parkland course situated on the Hall Dare Estate on the Carlow Wexford Border. The golf course runs over 7000 yards making it an undeniably championship golf course. On site is a fully stocked Professional shop where the resident Golf professional Gary McLean operates the Golf Academy which is available for coaching all levels of golfer. 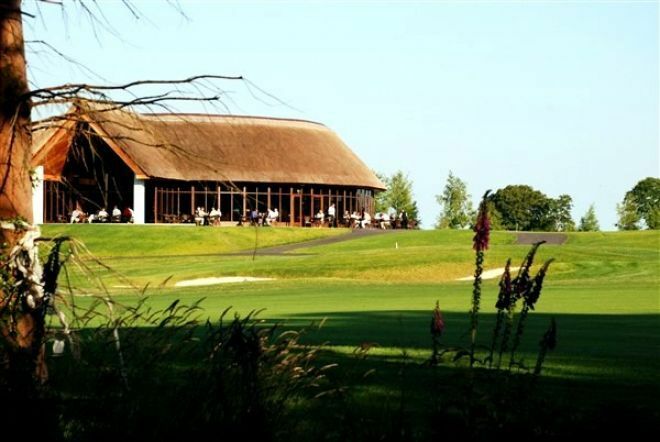 The golf club itself is unique in its features including a circular clubhouse with its traditional reed thatched roof boasting outstanding views of the course with Mount Leinster in the background. 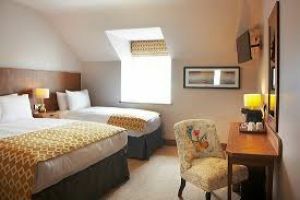 It offers luxurious changing and locker rooms complete with a sauna and is home to the well-appointed bar and restaurant. Although having the characteristics of an old historic golf club it boasts state-of-the-art amenities, with the inclusion of Ireland's first golf course elevator linking the 17th green with the 18th tee.